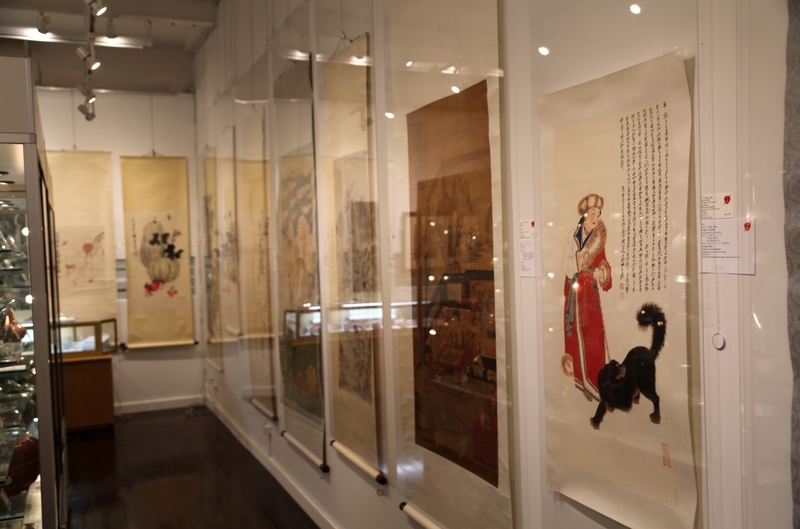 The top lot of the sale, a Xu Wei ink-on-paper hanging scroll brought $330,400. 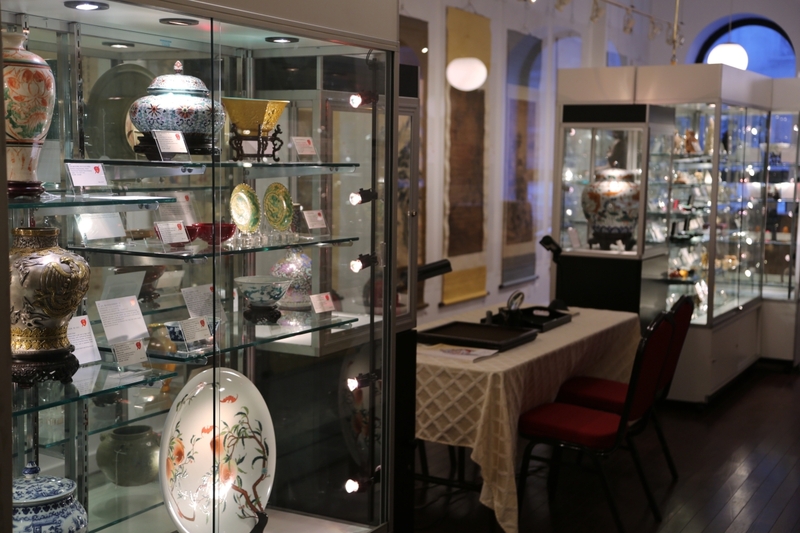 NEW YORK CITY — As Asia week was just getting underway, the midtown mainstay Gianguan Auctions found success with their quarterly March 11 sale of fine art, objects and scholar’s items that drew interest from around the world. A wide selection of artworks lined the walls of the gallery. 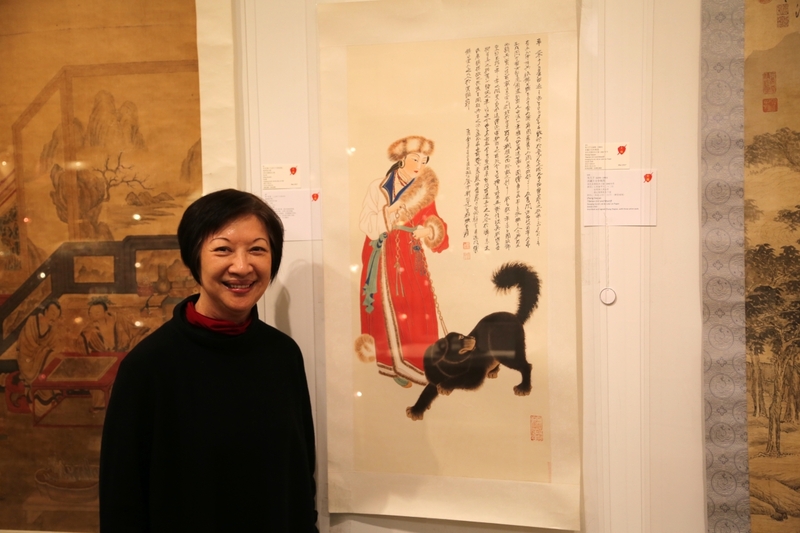 Gianguan is well known for its strength and expertise in Chinese artworks, so it was no surprise when a Xu Wei ink-on-paper hanging scroll went out as the top lot of the day at $330,400. 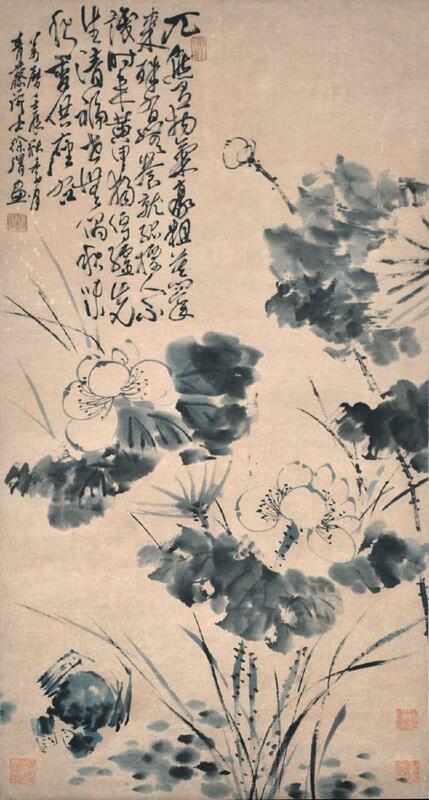 The piece, painted during the Ming dynasty in 1592, featured a lotus and crab with the artist’s seal and measured 34¼ inches tall. “Usually, paintings sell the best, but this time around, scholar’s items were very strong,” said Lum. From this category were plenty of surprises that buoyed the sale with their rarity and quality. 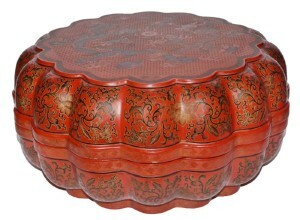 A drum-shaped Duan inkstone from the Qing dynasty went out at $14,160. The piece was 14½ inches in diameter and featured a central trough surrounded by a circle of 66 “eyes” that were small columns raised to different heights off the background, all encompassed by a dragon motif that encircled the piece on the outside edge. A Qing dynasty Tianqi polychrome lacquer painted lobed dragon box and cover brought $7,080. 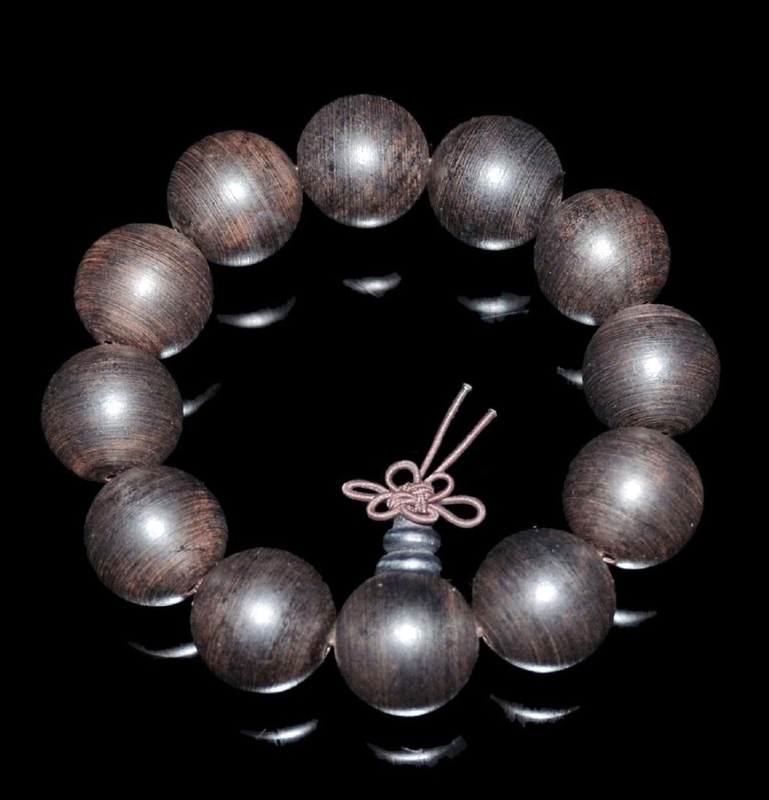 A similar example is in the collection of the Palace Museum in Beijing. Of the five teapots in the sale, every one of them found a new home. 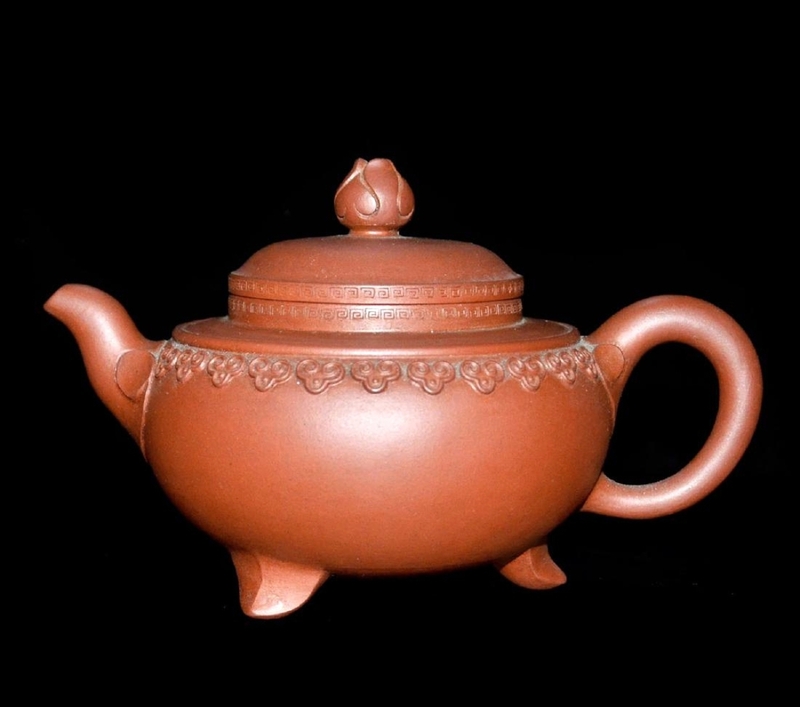 Among them was a Gu Jingzhou Ruyi Zisha teapot that brought $8,260 on a $1,500 high estimate. The rust-colored piece sat on a tripod base and featured a raised pattern all the way around the top rim. “The low starting price had generated so much interest and competition that it went well above estimate,” said Lum. 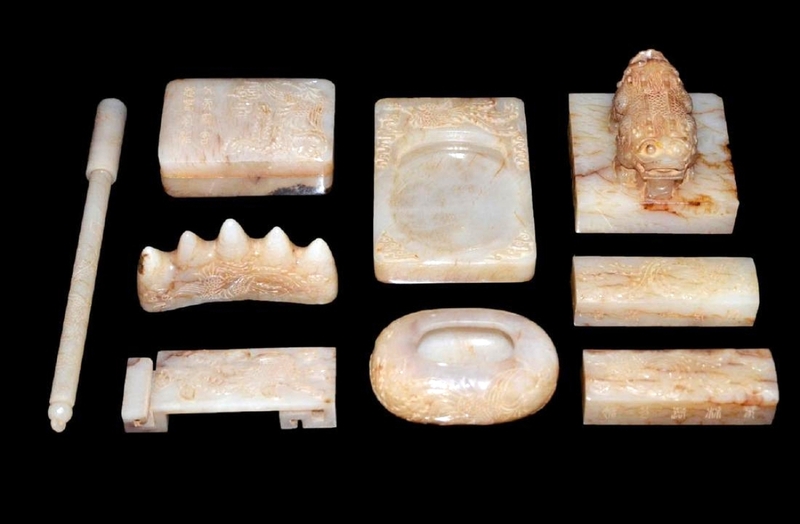 Still among the scholar’s items, a nine-piece imperial yellow jade writing set bested the high estimate to land at $18,800. The set featured a paperweight, ink bed, brush holder, pen, ink pad, inkstone, seal sea script and a brush washer. The seal featured the empress’s mark, while each piece exhibited elaborate carvings on all sides. The firm’s next sale will be in June. 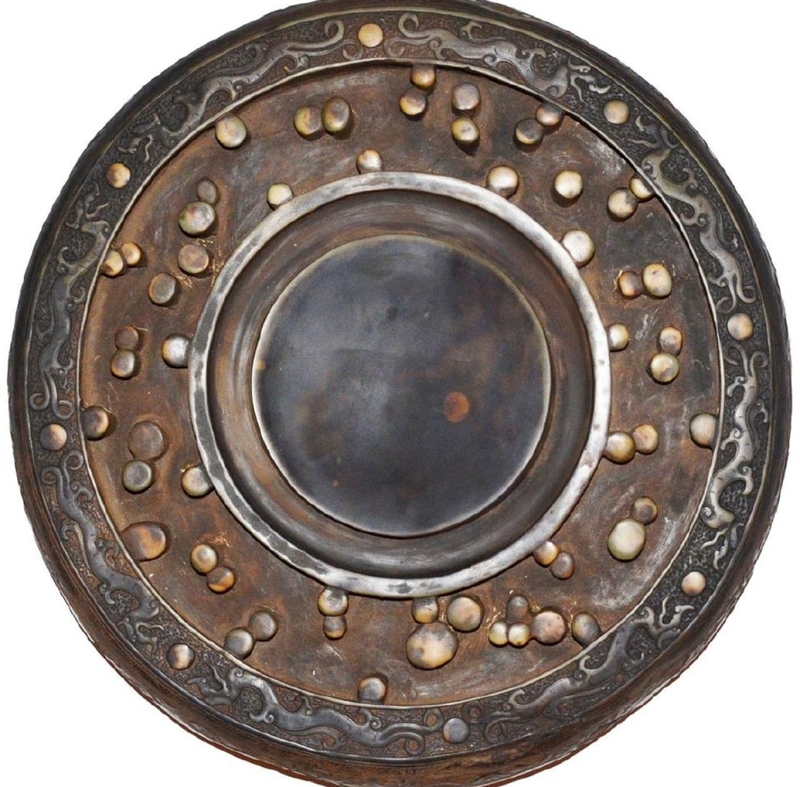 For more information, www.gianguanauctions.com. 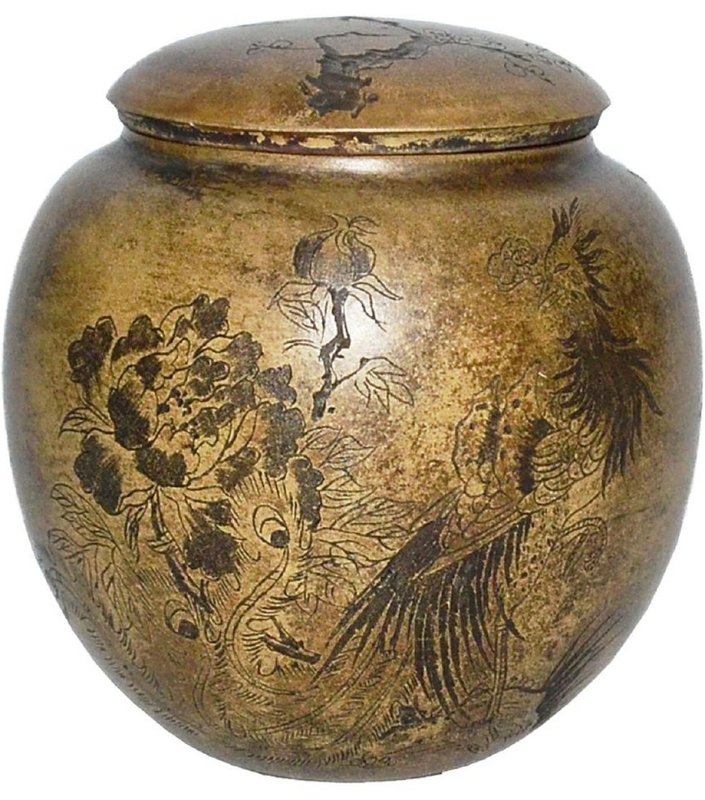 A drum-shaped Duan inkstone from the Qing dynasty found competing interest and sold at $14,160. The piece featured 66 “eyes,” seen here as the irregular shaped circles surrounding the middle trough.